With a vast coastline and jungle-topped islands, Thailand is a tropical paradise perfect for both a peaceful vacation and an incredible adventure. The warm, rich culture of Thailand is highlighted by its bustling cities, sacred temples, serene beaches, and friendly people. Thailand’s outstanding cuisine makes visiting this destination a once-in-a-lifetime experience. Adored around the world, Thai food is deliciously flavored, and full of fresh, local ingredients. From noodles to seafood, there is something that everyone will enjoy. Be sure to bring your appetite. 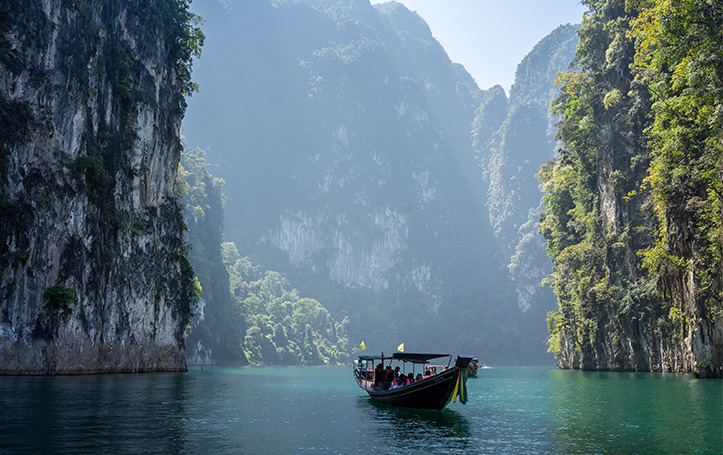 A tropical paradise, Thailand is renowned for its gorgeous beaches, delicious cuisine, and vibrant nightlife. The Thai Islands offer endless outdoor activities for the adventurer in any traveler, including a variety of watersports. 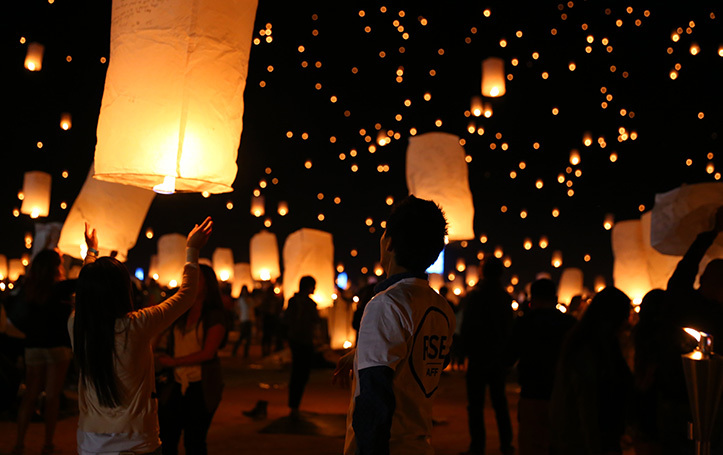 The rowdy nightlife is highlighted by the traditional Full-Moon Party, which offers a full night of drinks, food, dancing, and entertainment right on the beach. 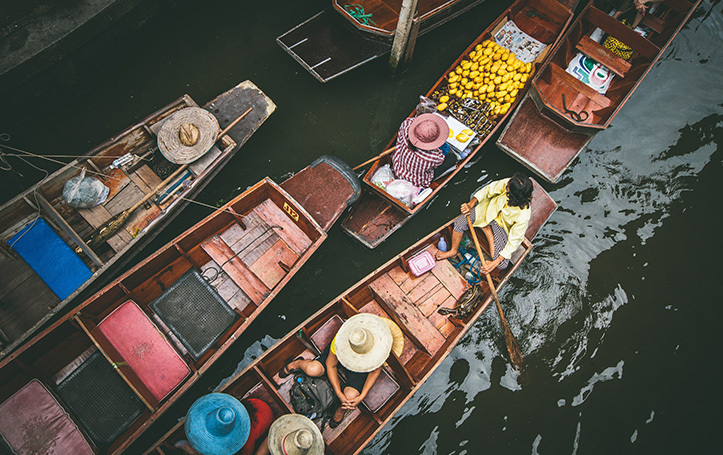 From hiking through the jungles north of Bangkok to sailing to a deserted island off of Ko Samui, Southern Thailand offers the freedom to explore anything that piques your interest.